Do you ever wake up at 3:00 AM in a pool of sweat, your mind racing, spinning out of control, contemplating what might happen, what could happen or where things are going? Have you ever been in a place where, for whatever reason, your heart rate accelerated out of nowhere? You were drained, your heart rate beating faster and faster, and one thing led to another and you end up in a hospital. You spend a couple days, you have a surgery, you’re told you have a one in X chance of dying on the table. Have you ever been there? Have you ever dealt with burnout? 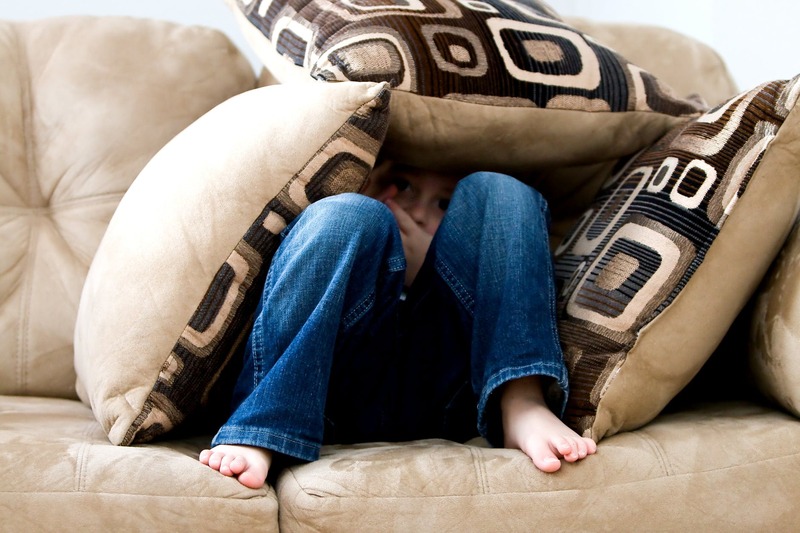 Have you ever dealt with anxiety? Have you ever dealt with the bottlenecks? In this episode, we’re going to share with you how to overcome your growth bottlenecks so you can accelerate results and how you can avoid burnout and grow your business exponentially in a much healthier way. Our guest expert is someone I’ve known for almost twenty years. She was on our show all the way back in the early 2000s. She’s a profit amplifier. She has a gift for guiding mission-driven entrepreneurs to thrive in their small business. She helps you avoid and eliminate burnout, get clarity, and create massive results. Our guest is Melanie Benson. Melanie, how are you? Dan, happy to be here twenty years later. I don’t have a choice. I am wired for this. It’s in my bones and it came from becoming very burned out in the corporate world. I was experiencing chronic fatigue and I was so disillusioned. Everybody was so excited about climbing the corporate ladder and it was not resonating, it was not lighting me up. It was causing me so much stress. I couldn’t find my thing. That burnout led me to look for a way that I could use my skills, my talents and my super powers in a way that was more aligned with my values system. I ended up in coaching. My super power is helping people understand how to roll out their vision. People have these great big visions but they don’t know what steps to take. Sometimes it’s so much bigger, so much bolder than anything they’ve ever done. That was what I did in corporate but in a whole different way. I ended up here purely because it was inside every fiber of my being to help people accomplish goals that are so much bigger than them. You’re a bestselling author of Rewired for Wealth, the startup guide to starting an information marketing business through entrepreneurship. American Express, Open Forum, Bloomberg Business Week, Woman’s Day, Parenting Magazine, you’ve had all this celebrity around what it is you do and helping people get clarity, eliminate burnout, and break through the bottlenecks. Just to put context on it because people may hear your story and go, “She’s supposed to be successful. She’s the golden child,” what’s been your biggest struggle, like your lowest point in business and/or mistake and what’d you learn from it that maybe our audience can learn from it, too? It’s having a proper expectation of what you’re signing up for in your own business. It’s not all rainbows and unicorns. It’s definitely a journey. Having clarity and good tools is a big part of being successful. Two of my lower points that most people can relate to is the first one was in the beginning, I had no idea how to market my business. I got trained to be a fantastic coach. I could coach someone into what they wanted in a nanosecond, but I had no idea how to language that. I didn’t know how to message it. You’re like that best kept secret. You have this great talent, you have this great thing to offer, but you have no idea how to attract your ideal clients. That was a huge breakthrough point for me from a common friend of ours, that learning how to put language and help people understand what the outcome was more than just a process they would go through was a huge shift for me. I was very stuck there for a long time and I was very stubborn about it. I thought if I build it, they would come. I had to surrender my ego mind. I had to let go of feeling being fantastic and something was enough. Thank goodness I did because I learned it was a common hiccup for many of my clients down the road. You can have some understanding of where they were stuck. Learning how to market my business was a big one. This might have been the granddaddy of all granddaddy mistakes I made. It came down to your blind spots. Once I solved the marketing mistake, things were amazing. I literally grew another six figures every year for many years. I was growing very fast, but what was in my blind spot was that I was growing a business for everyone else, not growing a business that was completely and totally aligned with me. I had a partner at the time. We were growing this new offering and I felt a little off on it, but I knew it was necessary. I knew she would be able to deliver on it. Then she decided she didn’t want to deliver on it. She didn’t want to be a part of it. I start spinning. It came in the middle of a perfect storm of seven things that didn’t go right, taking too big of a leap, having a team member not doing what they’re supposed to do, and not tracking some incoming revenues that were supposed to be there. All of a sudden, everything was upside down and I hit this massive wall. That stress was so great that it started to compromise and bring back all my chronic fatigue issues. I ended up very burnt out, very disillusioned, very disconnected from my vision again. It took me a little while to reboot and realize it’s a huge gift because I was building something I wasn’t as passionate about as I should’ve been. I was doing something I should do, not something I wanted to do. It was a great re-humbling and re-centering process to go through. A lot of people get caught up in that where they’re doing what people tell them they should do to grow, to have greater impact and more income, to create consistent revenue and all of that. At the end of the day, if we’re not doing something that fires us up when we have massive sustainable motivation, then we will most likely disconnect from it and either blow it up like I did or you don’t want to grow it, which is something that I encounter all the time with my clients. They’re in this business they don’t have the passion to grow. It’s so amazing to see that pattern happen over and over again, not only in others but also, we’re repeating it ourselves. What would have to happen for you to move away from burnout, to move away from old bad habits, and install a new operating system so that you, instead of being a bottleneck or dealing with overwhelm or burnout, could transform and accelerate to ultimate success? What would you say is the biggest myth, lie, or challenge for most business owners dealing with the idea of a growth bottleneck? I’m going to break that down into two parts because there’s a myth and a lie, and there’s a place where we create growth bottlenecks. Here’s the myth and the lie that I believe you and I share this understanding. You have to work harder, more hours, and you have to be faster than everyone else to be the biggest success. I truly believe that some people have achieved their success that way and then teach everyone else that they think that that’s the only way to get there. I don’t believe that. Yes, it does require hard work. Yes, there is very big amount of effort that we put into growing a business, but I do not believe that is the only way to create success. At a certain point in our trajectory, we have to change gears from work more to work smarter to leverage your time and energy. We have to change gears from work more to work smarter to leverage your time and energy. All of these meltdowns, perfect storm blew up the thing and led me to realizing that I could create very powerful success with grace and ease that was sustainable. More and more people were bumping up that same wall of, “I don’t have it within me to work more so how do I get to that next level?” It became my thing where if you’re ready to grow with more ease and grace, if you want to achieve more but not so much by working more hours, I have a secret sauce. That’s the myth that I found to be overly perpetuated and maybe not so helpful. The bottlenecks are where we get in our own way because we’re trying to get to the next level the way we got to this level. They’re often in our blind spots. These bottlenecks are where we don’t quite have the right strategy so it’s taking too much time, too much effort. We’re limiting our ability to grow because we are not using the best tool set for that opportunity in that moment. It’s interesting when I help eliminate a bottleneck for someone because they’re like all of a sudden, “I see why this is not growing or why I’ve been stuck here and why this has felt so hard.” Oftentimes between our ears, we’ve got a perception of that has to be a certain way. Where do you see yourself being a bottleneck, getting in your own way? What are your blind spots? What would it mean to you if you were able to identify your blind spots, your bottlenecks, and then have a way to transition through it that you could transform that bottleneck into having your greatest impact, your greatest contribution, and being able to make the biggest difference? Instead of being the world’s best kept secret, you could be the best, most well-known and well-paid because there is a difference. I had heard a story that you had shared about how you got started in business as little as six or seven years old doing these carnivals with Jerry Lewis telethons years ago. I’m curious what you learned from doing that at such a young age and how you’ve been able to translate that into your business success today. I dropped in as a little leader. As children, that’s oftentimes not the energy that your friends want to have that you’re bossing them around. I was inspired to do two things. I wanted to make a difference. I was so enraptured by what Jerry Lewis was trying to accomplish, one to support that cause, and two, I was very much about leading and gathering people to achieve something I couldn’t do on my own. That little seven-year-old me saw an opportunity to support Jerry Lewis and get on the TV show in Arizona. I was very excited to do something to make a difference and get a little celebrity out of it. I learned how to get people to do things that they didn’t know they want to do to achieve a common good, to be a force for good. That skill set went with me throughout my whole life. It went dark for a while and I lost what my superpower was, but then as I gained the ranks of team building and putting together power teams incorporate and then figuring out, “If I want to grow my business, I need to find people to help me achieve what I can’t do on my own.” That superpower stayed with me and eventually became something that I teach other people to do. They want to achieve goals they’ve never achieved before. Today, it’s more common that women are high-powered business people like you, but twenty years ago, when we got a chance to meet, thinking all the way back when you were seven, it wasn’t that way. What false interpretations, false beliefs, did you witness being a strong woman? I could imagine the idea that sometimes a strong independent woman can be confused as being a boss. Talk about that stereotype and what you’ve done to move into finding your sweet spot. I’m so glad you brought this up because I do think that people have a lot of preconceived notions about what someone’s capability is based on the way they look, the way they dress, and maybe other physical characteristics. As a very young entrepreneur, I was in my 30s when I started my business. I bounced up against a lot of like, “How on earth do you think you could help me when you’re so young?” Being a woman who was relatively attractive also compounded the problem. People did not believe that I had something of value because of my age and the way I looked. Then going into a very male dominated world, which is something I seem to always do, the corporation I worked for was very male dominated, and then going into marketing, particularly online marketing, is very male dominated. Amplify Your Success: We’re limiting our ability to grow because we are not using the best toolset for that opportunity in that moment. What do you get consumed by? What sometimes gets in the way? Is it getting hung up on the way of going about it, or is it the ability to just create a result, a breakthrough, an outcome or a transformation? The business you’re in is not the business you think you’re in. You’re in the breakthrough business. You’re in the transformation business. You’re in the experience business. What would have to happen for you to move away from the false belief that how you look or how old you are is playing a factor into success and just break free from that? It is what it is if it is there, because success comes in all shapes, all sizes, and different looks. That’s another big misconception that success is a one-size-fits-all model. Maybe you could speak to that. You were triggering something else, too, and that’s the beliefs. One of the things that I had to personally conquer was my own beliefs, my own conditioning of what I was taught was possible in my growing up story. I found that I had to condition my mind to have the belief of a six-figure, seven-figure, whatever figure business owner I wanted to be. It’s how I condition my mind to think and make decisions and take risks. Like that person, I was going to stay stuck. One of the biggest things I see everyone gets held back is their belief system. If you are feeling like you’re stuck, you don’t know what to do, you don’t feel capable, or you’ve been told the story for years and years that you don’t know how, you’re not good enough, whatever that is, you can change that by changing your thought patterns, by changing your habits, and by upgrading your mental processing that you have around money and business and success. That’s a big part of the puzzle piece there. What would you say would be one to three simple things that people can do immediately to break through some of their bottlenecks or eliminate them? Let’s assume that you have the bottleneck of mindset. There are eight bottlenecks typically present themselves to someone if their money and impact has not reached their goal. Mindset is a huge one. I’m going to give you a simple process that will help you, but may not completely break you through, but at least get the ball rolling in the right direction and that is pay attention to your most dominant thoughts you have when you want more money or success. It’s going to be something like, “I can’t. I don’t know how. I’ve never done it. I’m not capable. I’m not good with money.” There are hundreds of answers to that, but pay attention to your words. One of the biggest things I see everyone gets held back is their belief system. Pay close attention to your dominant thought around making more money. You might even have that voice right now, “I’m not good enough. I don’t have enough experience.” Whatever those voices are for you, they’re valid. They become your truth, they become your reality. You buy into it because you think it all the time. Understanding what that dominant thought is, if it’s not directly going to support that outcome, you have to recondition it, you have to rewire it to teach yourself how to think and believe something that’s more aligned with it. Let’s say it’s like, “I’m not capable.” You’re going to have to figure out what are you capable of and how can you use that in the growth of your business? Another bottleneck, and this is huge with people who have gotten good at building the business based on them, is how can you align with other people to help you get more done? Delegating, outsourcing, building a team, building a support system, it would be mind-blowing how many people are terrified of letting go and letting people help them in order to grow. That’s another one. We’ve got to figure out what do you need to be willing to let go of and how can you delegate profitably so you can keep the growth going? We’ve got to let it go to let it grow. We’ve got mindset. We’ve got letting go. What’s another big one you find? “I’ve got to touch everything. I can’t let go of decision-making. I can’t let go of making sure every single thing is done.” This is so common. It’s our baby. We’ve built a business. We are committed to its growth. We want it to have excellence. To a certain point, tapping back into that “let it go, let it grow,” we have to be willing to let go of some of the key pieces. I always think, “How did Orpah build a billion-dollar empire?” Not by touching every single thing. When we start to delegate, what authority can you let go, what decision-making, what systems can you build to let other people take the lead instead of you having to take lead? What this does is it frees up massive amounts of creative and growth energy. When you’re down in the minutia and you have to put out every fire, you have to figure out all the nuances of every single thing that gets done, you are not in an expansive energy. You are in a contract energy and that contracted energy keeps you playing small. It’s a huge growth shift. It’s literally a pivot to recognize, “I got to let go of the details. I got to let go of being in the trenches and figuring out every single thing and let other people use that brilliant.” You can focus on where you’re going next rather than, “How do we put out the fire today that this person didn’t get what they were supposed to get?” Hire capable people that that’s their genius. Regardless of the level you’re at, are you playing small? What would have to happen for you to play a bigger game, to have the courage, to have the commitment, to realize the capabilities are around you? If you don’t have them, it’s not the what or the how, it’s the who. This is a who game, not a how game, in so many ways. What would have to happen? Melanie, as you look at helping people rewire, dealing with overwhelm, burnout, and accelerating beyond their bottlenecks, what would be one to three action steps that you would want our audience to take? One of the most important ones you do is get clear what your superpower is. You might even consider your genius or the skill that you have that no one else does as well as you do. Check in with yourself. How much time am I spending in that activity? It’s very profound to understand that you’re building a business when you’re only using 10% of the thing you enjoy doing the most. That’s where the burnout comes from. You’re not doing the thing that gives you energy. You’re probably spending too much time doing things that take energy. If you’re like, “I don’t want to grow this business. I can’t imagine it getting any bigger. There’s not enough time for the things I want to do anyway,” then we’ve got to look at how you can delegate or even how you can delete the things that you’re doing that are taking energy from you. Maybe you don’t have to do them. That’s a big one. Amplify Your Success: When we start to delegate, it frees up massive amounts of creative and growth energy. The second one, and this ties into the first one, is I want to challenge you to delegate more. I work with high achievers and people who have massively successful businesses. They’re completely overwhelmed on a day-to-day basis. The number one thing they don’t do well is they don’t delegate enough. What can you delegate? What can you get off your plate that would free you up to focus on what you’re more passionate about? What you want to have more of? Tip number three, and this is one that’s prudent if you’re struggling with revenue and cash flow, is understanding what your best performing offer is and optimize it. Sometimes we get caught up in creating more stuff in order to make more money. Oftentimes, it’s at the cost and the neglect of the thing that we do already. If we put more attention on it, it taps into that idea of what you focus on expands. 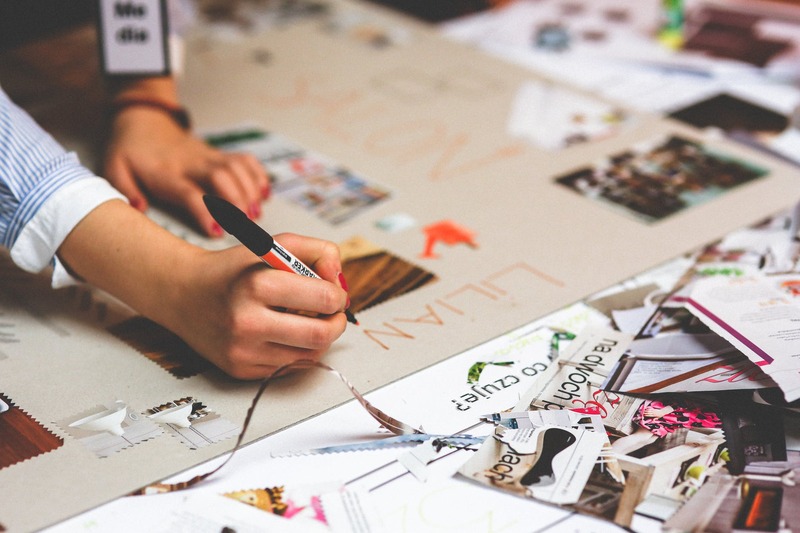 If you’re creating more new stuff, you’re not focused on that thing that is your hidden gold. I’ve worked with clients who are struggling to get to that next hundred thousand, “Is your attention on that thing, that’s $50,000 deal, every time you sell it?” “No, I’m focused on these other things.” Focus more on your hidden gold and the revenue follows. If people want to go deeper, you’re getting a glance at some of Melanie’s wisdom and helping crack through burnout, overwhelm and getting through bottlenecks. She can help you amplify your profits, especially if you’re a mission-driven business owner. Where can people go to learn more about what you’re up to, resources, that sort of thing? I’ll share a free resource and it’s something everybody should have in their toolbox. It’s my top ten rapid cash strategies. If you want to boost my cashflow this month, try one of the ten strategies in that download. It’s totally free at RapidCashStrategies.com and at MelanieBenson.com. We can always share what we’re up to. It’s the best place to start if you’re looking for a coach or a mentor or if you want to increase the productivity and want to take your business to the next level. Start there. What’s something I should have asked you that I didn’t get a chance to yet? We talked about burn out. We brought that up because I’m not sure if somebody would know if they’re in burnout. Let’s tackle a couple of those. I didn’t know I burnt out until I was so burned out. It was hard to recover from that. That’s a very common situation because we’re taught to work harder, work more, and most of us are burning the candle at both ends. One of the first signs is you’re tired all the time and taking a break isn’t fixing it. You need to take more time off. Take a couple of days off instead of a couple hours off. End your day at 6:00 PM instead of 10:00 PM. Give yourself a little break because that break does two things. It helps you not only recharge your body, but it also recharges your mind and you make better decisions with a clear head. Taking a break is a big way to try to pull the burnout back and give your body some fuel again. The second one is when you’ve lost your mojo and nothing is inspiring you, nothing is making you happy, nothing is exciting you, you will be in burnout. What happens is it maybe that you’re disappointed and you feel like some things aren’t working and you’ve tried a lot of stuff, but it could be that your body’s starting to get exhausted and the connection between your adrenal glands, which is what pumps cortisol when you’re stressed, and your brain function is deteriorating, and those links aren’t working well. You’re just exhausting your entire system. Once you do that and you keep pushing and pushing instead of surrendering to that and letting yourself to recharge a bit, you will push yourself so far that it’s very hard to recover from. They say that there are three stages of adrenal fatigue and the third one is the one that you never recover from. Don’t keep pushing. Give yourself a break. Get some support. Get someone in there with a fresh perspective to help you see new ways to grow that don’t require so much of your force and your pushing. Understand what your best performing offer is and optimize it. It’s not reliant on your force. Rather than a push, it’s more like a pull. One of the things in my research I found that you spoke about that it’d be good to touch on here is when you’re working, whether it’s client selection or with a partner or otherwise, you have this gut intuition. You talked about the difference about fear and intuition. I have a personal interest in this idea because I’m fascinated by it. Fear is often like a protection. You feel like you have to protect something. Intuition is this deep resounding clarity. Oftentimes, fear is disguising this logic, so we want to take a massive growth that we want to take a risk. Usually, this is investing in a mentor that feels a little bigger than you’ve ever done before or hiring your first team or doing a big marketing strategy, taking a big leap. Logic will oftentimes kick in and say, “Here are all the reasons why that won’t work.” That’s often your fear, because nothing amazing has ever been created from a space of logic. It’s created from a space of being willing to go for a dream that’s bigger than you. Here’s the other piece of that though. How do we know if we’re feeling fear or it’s our intuition saying, “No, wrong direction that doesn’t feel aligned?” You will feel contracted. Everything inside of you will feel like constricted. You will feel like panicky and it will start to tighten everything. When your intuition is alive, it feels expansive if you feel relaxed. When you’re contracted, it doesn’t mean it’s not the right direction. It means something about the way you’re seeing it feels out of alignment with the direction you want to go or the direction you think you’re supposed to go. That’s where sometimes your coach is your best friend because they can help you pull apart where the fear is coming from, “I need help. I need a tool that I don’t have. I need to learn this part. I simply need to be building the muscle of trust and being willing to take a journey that I can’t see all the steps because I know I’m way more committed to that bold goal than I’m committed to my fear.” The reason people don’t achieve big goals is they’re way more committed to their fear and they’re so into their fear that they let it make every decision for them. Are you truly committed to your bold goal or bold goals or are you more committed to your fear? Brendon Burchard has a great quote. He says, “Don’t let your small business keep you small minded.” At the same time, there is fear, there is challenge, there are obstacles in the way, but don’t confuse that with intuition. Instead of looking at why it won’t work, what if it could? What if it did? What if it does? One of the best ways to do that is to get support, to get a team, and to get a coach. There are a lot of resources available. I would encourage you if some of what Melanie has shared with you is striking a chord about the idea of bottlenecks, the idea of overcoming burnout or how to even identify burnout or this difference of fear and intuition, or maybe you’re compelled by her story of how at seven years old, she was a bad Mama Jama in leadership, raising money for Jerry Lewis and ended up on TV, then go deeper with her. You can do that by getting access to her Top Ten Cash Search Strategies at RapidCashStrategies.com or visit her site at MelanieBenson.com. Melanie, it’s been a pleasure to have you here with us again. Thank you for having me back. It’s been so awesome. Amplify Your Success: The reason people don’t achieve big goals is they’re way more committed to their fear that they let it make every decision for them. I was shy. People always thought I was stuck up, but I was so terrified and so shy. I was a very anxious child, so I don’t know if I was known for anything amazing. I know I was smart. I tested genius level as a kid. I was not applying it. I’m terrified by it, so it made me very anxious. How did that show up in how you tested and stuff like that if you’re anxious but genius? Did you test well? Did you not test? The genius came in, and because I felt labeled and felt ostracized from everyone else, I became anxious because the programs in the schooling for young people at that time pulled you away from the rest of the peer group. Kids are so mean. They made fun of me. I got bullied for being smart. It forced me to do two things, to become very independent and it forced me into personal development at a very early age. I had to figure out how to be functional and how to soar because I wasn’t. Thank goodness a lot of those things happened because I was given tools very early to help me harness my strengths. It planted the seed for becoming a coach later, having the traumas that I did as a young person. There’s plenty from growing up in a gang community and being threatened every day that I was going to be beat up if I didn’t join their gang to being ostracized for being smart and some other things, too. It created a hotbed of needing somebody to teach me a different way to be. I didn’t end up like that because I knew that wasn’t what I wanted. Fast forward and you look back over your journey, your career, and helping business owners and entrepreneurs, what do you want that to read as far as your impact? My intention is to help a million plus entrepreneurs create the powerful skill set of owning their own brilliance and building businesses that supports their life. By then, I will be doing retreats in Italy once or twice a year. We’ll be doing retreats from Tuscany because that’s my magic place. It’s the place I love the most on the planet. 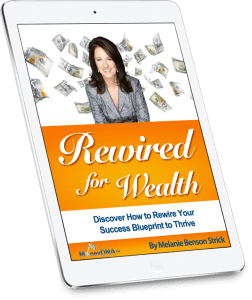 If you are looking for a way to own your brilliance to have a bigger impact, I would encourage you to go deeper with what Melanie has to share with you and get her Top Ten Strategies at RapidCashStrategies.com. Go visit her site at MelanieBenson.com. She’s pretty easy to find so go check out what she’s up to. She can help you. Melanie, it’s been a pleasure to have you with us. Thank you. 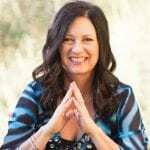 Melanie Benson is sharing with you how to overcome growth bottlenecks, how to know if you’re in overwhelm, the three strategies you can take, the action steps that you can take, and the difference between fear and intuition. I encourage you, take action with what she shared with you and apply what you learned. 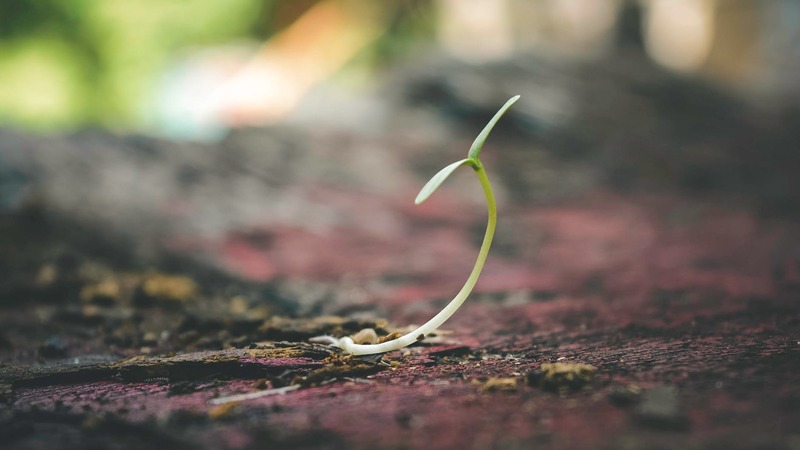 Imagine what would happen for you if you were able to overcome your growth bottleneck, to navigate burnout in a healthier, more productive way. It’s possible. Make it a great day. 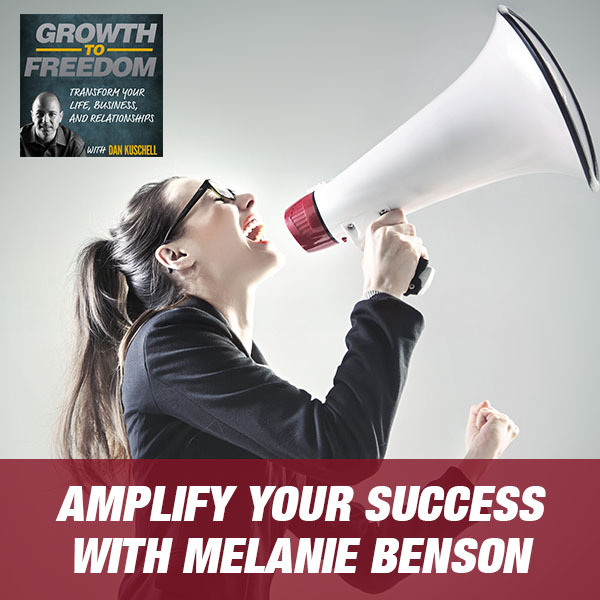 Melanie Benson is a Profit Amplifier, and has a gift for guiding fast-paced, mission-driven entrepreneurs to thrive in their small business. Melanie can quickly identify what derails you from productivity and progress – ultimately freeing you to scale your influence and income without overwhelm. 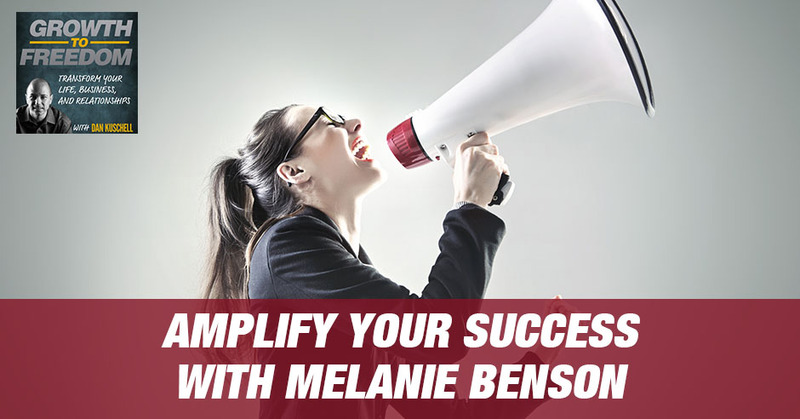 Melanie hosts the weekly podcast, Amplify Your Success, is author of Rewired for Wealth, co-author of Entrepreneur.com’s Start Up Guide to Starting an Information Marketing Business and has her success tips featured in magazines such as American Express OPEN Forum, Bloomberg BusinessWeek, Woman’s Day, Parenting Magazine, and University of Phoenix Alumni Magazine. She is on the Executive Team for the Women Speaker’s Association as well as is Council Chair for the Association of Transformational Leaders. Melanie is a proud lifestyle enthusiast and spends her free time in search of the best spas and beaches in the world.